Join us for June Green Drinks! Meet us at 5:30, June 21 at Starlite BBQ. Join us for a casual evening of networking with colleagues at Starlite BBQ! 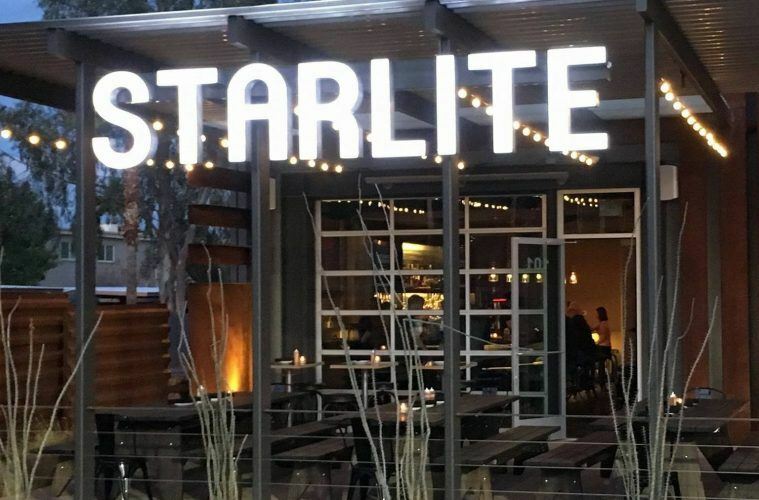 Starlite bbq and Whiskey Bar is a casual neighborhood restaurant with a full service bar offering specialty cocktails, craft beers and wine. In addition to a wide variety of smoked and grilled meats, Starlite offers vegetarian, vegan and healthy choices. All of our desserts are made in house by our pastry chef with high quality ingredients. We support local organizations and use local vendors. Arizona Beef, organic produce from McClendon’s Farm, fresh breads daily from Mj Bread, local pecan and mesquite woods native to our desert.